A day after reports surfaced UFC light heavyweight Thiago Silva had submitted a urine sample that was inconsistent with human urine, the Brazilian striker admitted he indeed tried to cover up the use of a banned substance. Silva took home a unanimous decision victory against Brandon Vera at UFC 125, but the result of that bout will be changed after the Nevada State Athletic Commission drops the hammer. “We make decisions every day of our lives,” Silva posted on The Underground Forums. “Some are good, and some are bad. When you make a bad decision, you can either make the situation worse by trying to cover it up or lie about it, or just stick your head in the sand and refuse to acknowledge it even happened. Or you can own up to it with an honest explanation, accept the consequences of your actions, apologize to the people affected by it, learn from it and move on. I’m choosing the second option. Instead of trying to continue to coverup his mistake, Silva explained himself in full and is ready to accept the consequences for his actions. “I do want to explain the circumstances behind my actions,” Silva stated. “Please do not interpret this as an attempt to justify my actions. I know they were wrong, and I know I made bad decisions, and I know I deserve to be punished. That is why I began my statement with an admission and an apology before going into these details. This is not an excuse, only an explanation. According to the report, Silva’s case will be heard on April 7th and the punishment will likely be a year-long suspension accompanied by a fine. 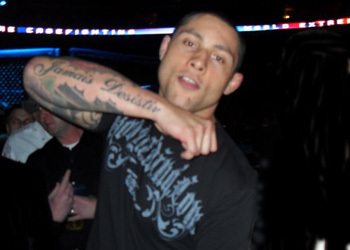 His UFC 125 unanimous decision victory over Vera will also be overturned to a No Contest.